Hi!!! Happy May Day!!! Here in China it’s labor day so everyone got the day off. I know it’s strange to post in the middle of the week, but, since we decided to take a food adventure, why not share. After all, who said good food was reserved for weekends. The adventure was pretty epic, so let’s eat! Everyone probably knows by now that I pretty much dream of grilled fish 24/7. Well Takumi Robatayaki answered all my dreams. 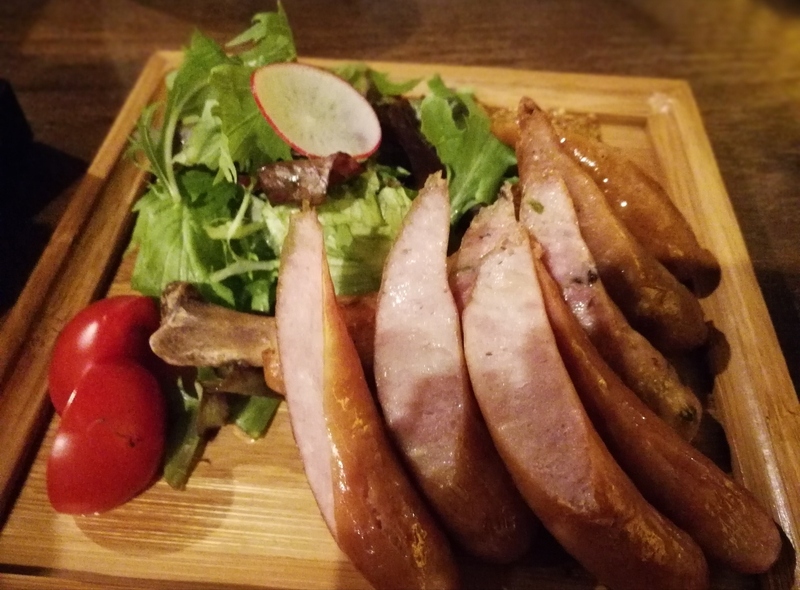 Robatayaki is basically an upscale Japanese version of campfire cooking. 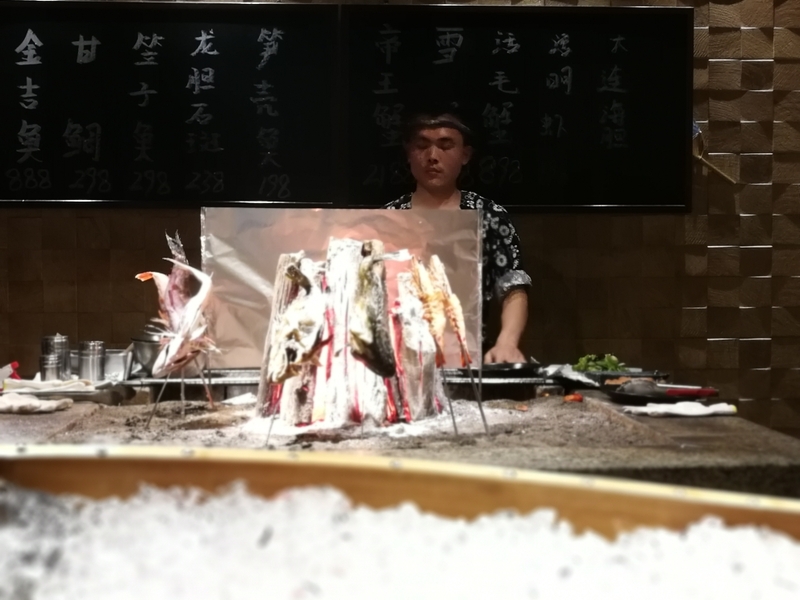 The items are skewered and slowly cooked in front of a mass of hot coals. This cooks the meat (fish) at a high heat, creating a perfectly crispy skin, but avoids direct heat, which really helps ensure a moist, juicy interior. Trust me, my mouth was watering just looking at the pictures. Well, enough said. Onto the FOOD!!! 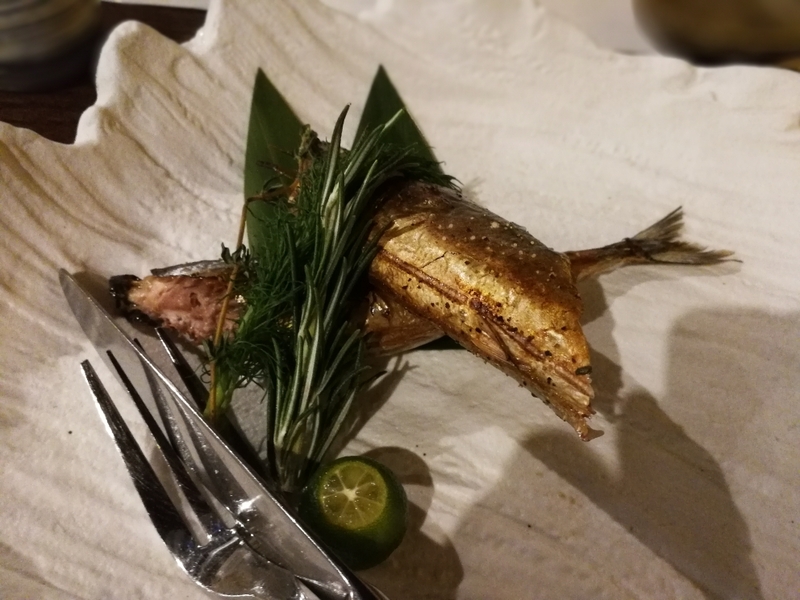 Herb Spiced Saury- This dish uses rosemary, thyme and a touch of olive oil to put a slightly western spin on a Japanese classic. 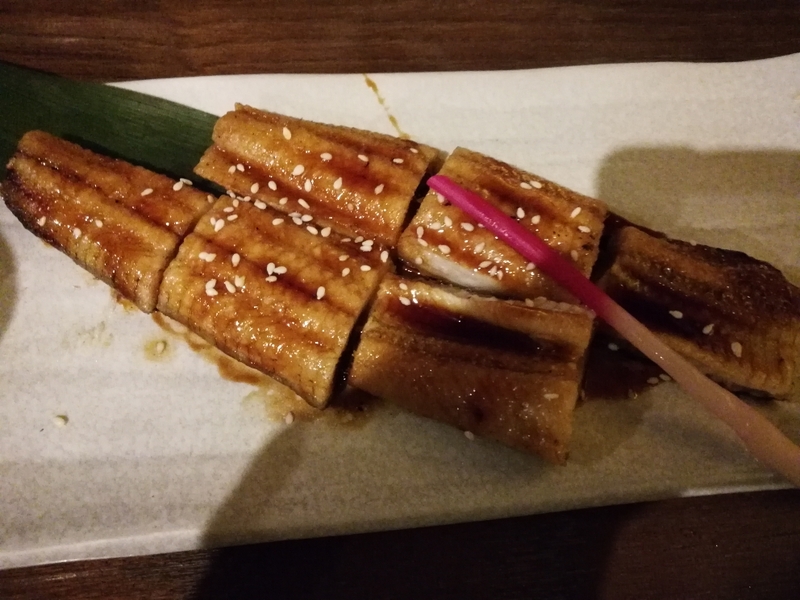 The restaurant offered robatayaki saury, but my dad preferred this version. It was good, but nothing special. The fish was fresh, well cooked and I could definitely taste the herbs. 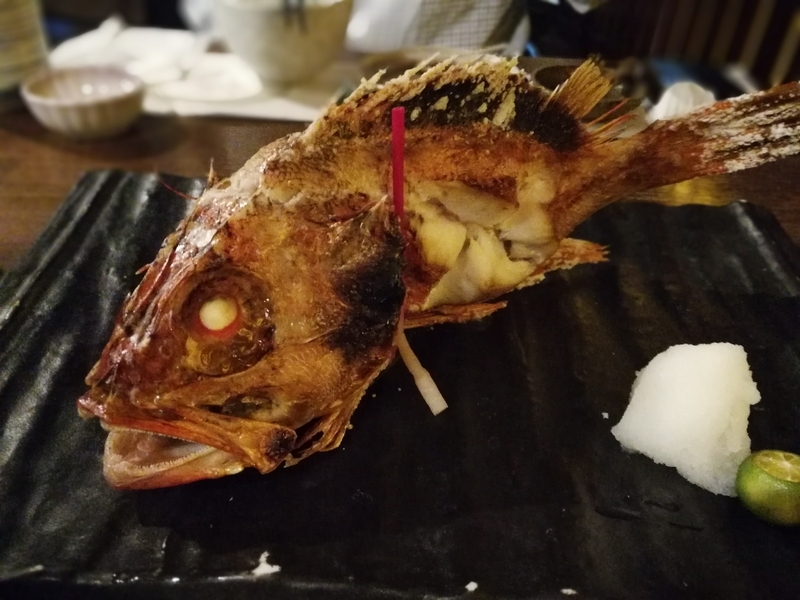 However, the herbs and oil took away from the natural flavor of the fish. Grilled Chinese yam with Seaweed Salt- Chinese yam is one of my favorite veggies of all time. It has a delightful, fresh crunch that provides the perfect break from the heavy meats. I’d never had it with seaweed, but I was excited to try. I’m sure glad I did. The seaweed brought an incredible burst of umami. The real highlight, however, was the touch of a sweet, tangy vinegar drizzle. 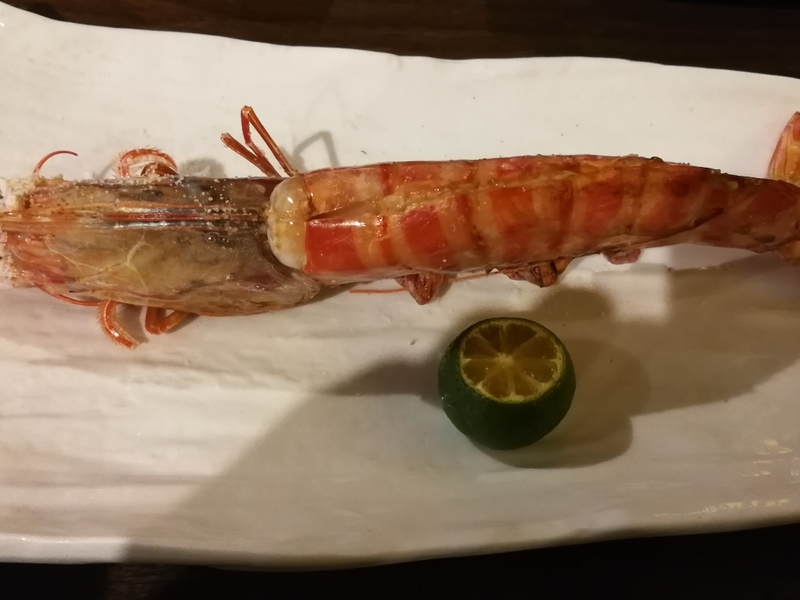 Tiger Prawn- While waiting for a table, I noticed tanks filled with MASSIVE tiger prawns. Needless to say, when I saw “grilled tiger prawn” on the menu, I HAD to order one. 20 minutes later, it arrived and was BIGGER than I expected. How did it taste? Well, to be honest, a bit underwhelming. The prawn itself was sweet and fresh, but a bit overcooked. The worst part was that the salt crust caused the juices in the head to leak out, really taking away from the flavor potential. The atmosphere was top notch. 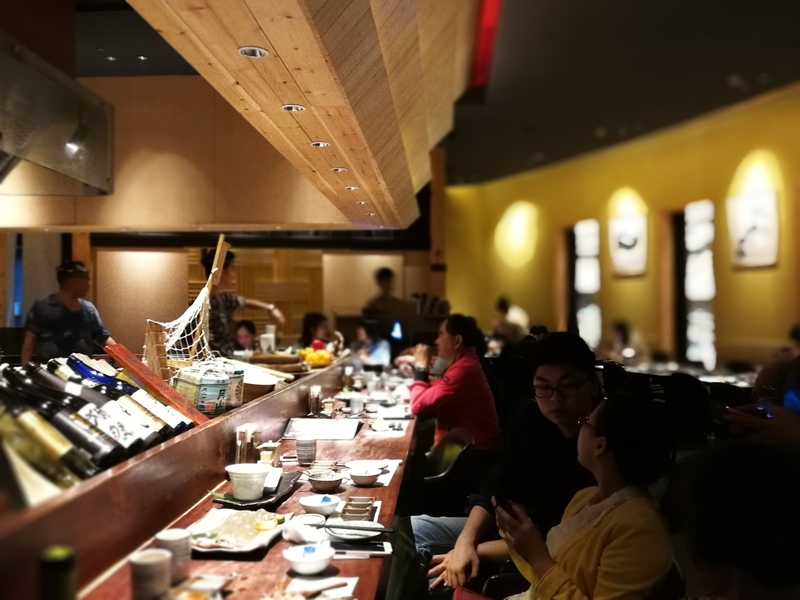 The chic, simple decour gives the restaurant a casual yet chic atmosphere. 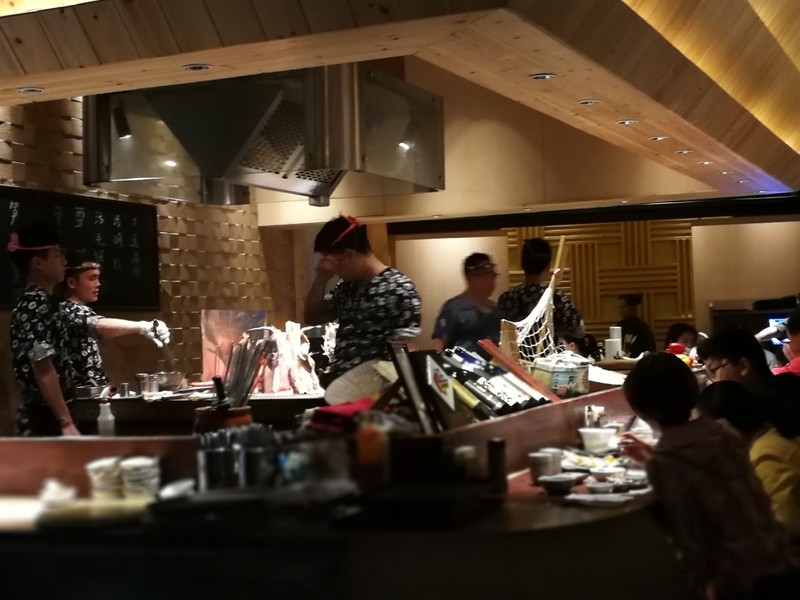 I really wanted to sit by the robatayaki, but those seats were occupied. We got a seat on the second floor next to an AMAZING balcony that literally overlooked Shanghai. It’s the perfect place for a date or upscale co-worker meeting, but can’t really accommodate larger parties or children. 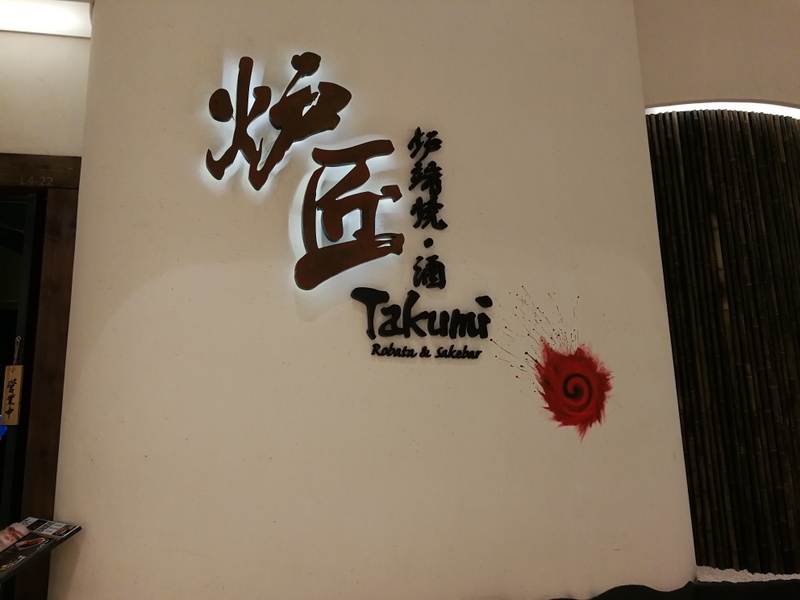 Overall, Takumi Robatayaki was definitely one of the best Japanese places in Shanghai. I will definitely be going back ASAP. That’s it for today. I hope every one has a great week! Bye!